Summer Road Trip? 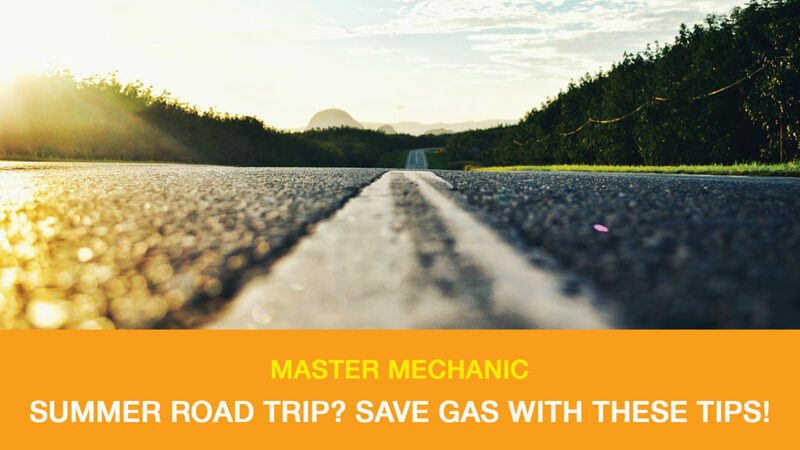 Save Gas with These Master Mechanic Tips! We love sunny weather here at Master Mechanic! After a slow start, Spring is finally upon us, and Summer is right around the corner. Like many Canadians, curiosity may have peaked your interest, and you’re currently in the midst of planning a summer road trip across this beautiful country of ours. Or, maybe you’re a seasoned pro, hitting the road for an annual excursion. In any event, there are a few ways you can save money at the pumps, which means more funds for fun activities (unless pumping gas is your jam). Driving aggressively–like accelerating quickly, braking suddenly, or speeding– can lower your fuel efficiency by a staggering 15 to 30 percent at highway speeds. In rush hour traffic where you’re repeatedly stopping, that number can reach up to 40 percent. While driving aggressively may feel like it gets you to your destination quicker, it’s a dangerous habit that can cost you more ways than one. Not only are you burning unnecessary fuel, but you could get into an accident, or get a ticket! All expenses and headaches you don’t want on vacation (or at all). Your car is powerful, but weight still slows it down. Are you a seasonal skier, kayaker, or cyclist? Remove mounting racks during off-season months to considerably increase your fuel efficiency. It makes such a difference, it’s even worth the extra work to remove it before your weekly commute if you have a rack on for the weekend. Not only will removing this equipment make your vehicle lighter, but it will also lower the wind resistance–both of which have a big impact on the amount of fuel burned each time you drive. Under-inflated tires can have a huge impact on fuel economy. On average, it’s estimated that your gas mileage lowers by approximately 0.2% for every 1 PSI drop. A properly inflated tire helps minimize rolling resistance and wear on the tread, which is guaranteed to extend the life of your set. In addition to a longer life, you’ll also enjoy a safer ride for you and your passengers–and a more comfortable one, too! To schedule routine maintenance or if you think you’re not achieving your optimal fuel efficiency, contact your local Master Mechanic to book an appointment. We’re always here to help!